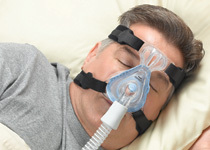 Olen Medical features Philips Respironics machines, masks and supplies. We can also provide masks and supplies from other manufacturers to clients who request those. We offer customized fitting to ensure your effective sleep therapy. We accept most insurance plans, including Medicare, and will work with your physician and sleep clinic to minimize the documentation headaches.